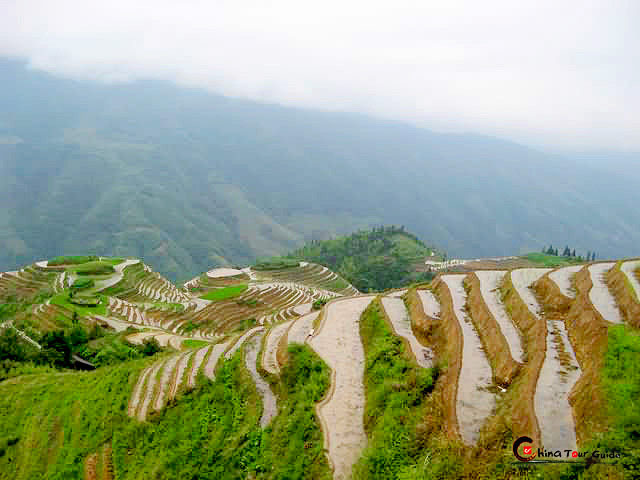 Daxu Old Town is situated on the east bank of the Li River, 23 km (14.3 miles) southeast of Guilin City. Daxu is a time-honored town with well preserved traditional Chinese architecture and stone-paved streets. 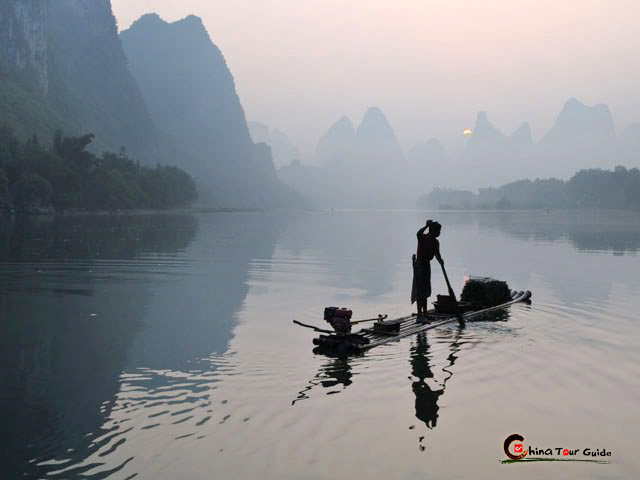 It has a history of more than a thousand years, drawing people from all over for a glimpse of ancient China. Many old workshops remain in the town including those used for bamboo-weaving, the production of grass shoes, and traditional funeral articles. You will also find a Chinese traditional medicine office where young and old from long ago received advice for the treatment of their illnesses, as well as an old hair salon. 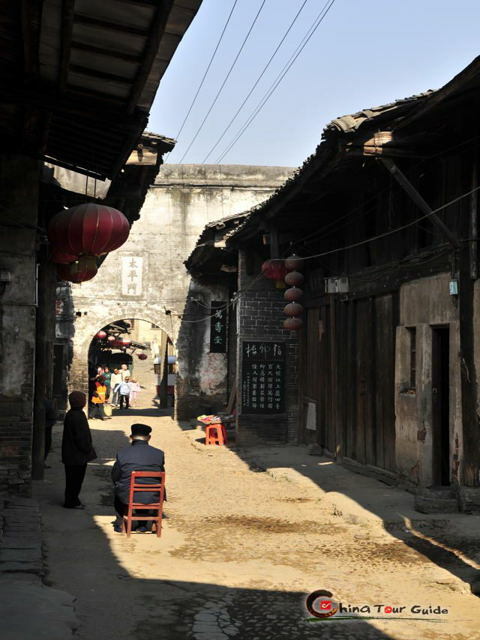 The town is also home to a number of elderly people who vigilantly watch over its heritage and traditions, but in their free time enjoy congregating for drinking tea, playing cards, or conversing along the streets. 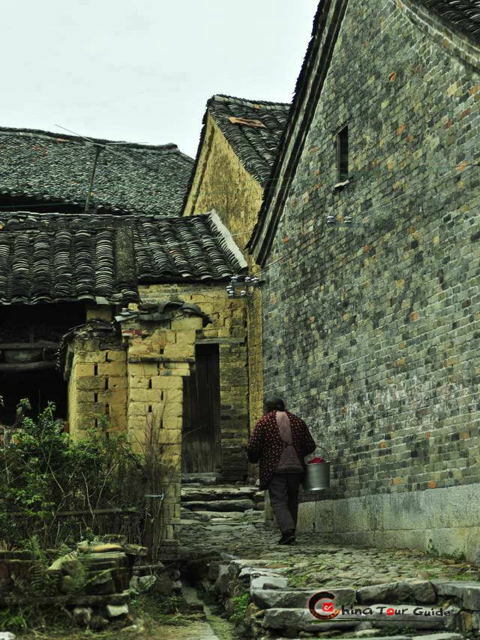 Most of the houses along the stone paved road are two-story Ming and Qing Dynasty buildings with gray bricks and tiles. Equipped with a front door, skylight, main room, wing-room and backyard, each house has a functional design combining business and living into one unit. You also won 't want to miss Longevity Arch Bridge. 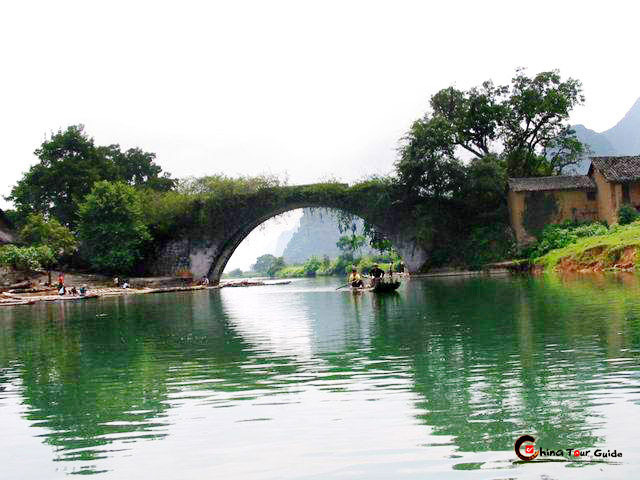 The stones on the surface of this Ming Dynasty arch stone bridge have been rubbed down over the years by countless carts and footsteps until they are now smooth and glossy. 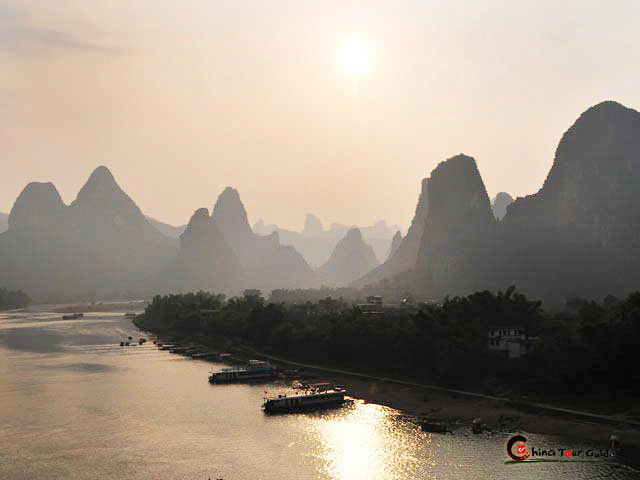 The bridge also offers a great lookout spot from which you can also snap pictures of Snail Hill and Li River.